From touchless toilets to faucets with motion sensors, people have become increasingly cautious of contamination and germs. Bill and Bryant Troutman recognized this trend and set out to apply it to the home kitchen. They worked with the Enventys team to create a hands-free paper towel dispenser, focusing on style, convenience and cleanliness. 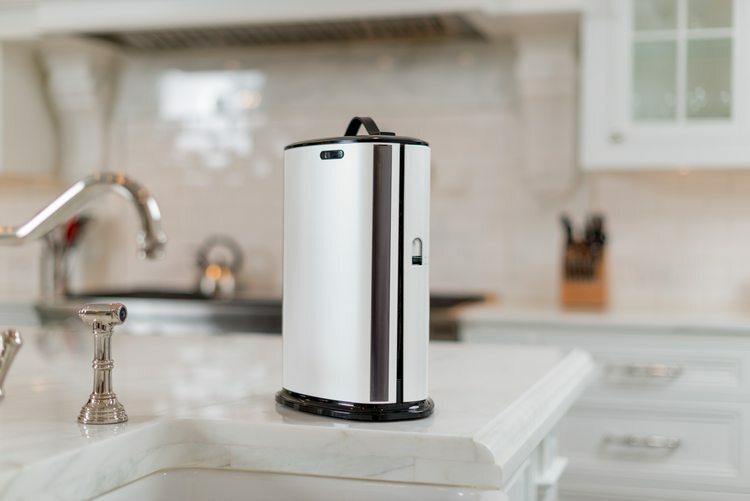 The Troutmans partnered with the Enventys team of industrial designers and engineers to create a paper towel dispenser for the home kitchen that focused on convenience and cleanliness. Our team worked off the Troutmans’ design and created a sleek dispenser that uses smart technology to automatically dispense paper towels from any paper towel roll. The dispenser is able accept any size, brand and sheet length by recognizing each roll’s perforation marks. The consumer simply waves a hand for each length of towel, keeping the roll clean and dry within the enclosure. Our designers worked with our engineers to create a product that is easy to use and has a sleek design meant for the modern kitchen. Innovia launched at the 2011 Housewares Show in Chicago. Innovia went on to make its retail debut in November 2012 in Lowe’s Home Improvement Stores across the country, and is now available in retail stores nationwide. Visit their wesbite at www.innoviahome.com.